Make dough and allow it to rise once. Melt together butter and peanut butter. Using a pastry cutter, blend in powdered sugar until you have a crumbly mixture with some powder. Roll out half the sweet dough in a large rectangle. Generously sprinkle the crumb topping over the dough, leaving about one-fourth of an inch around the edges. 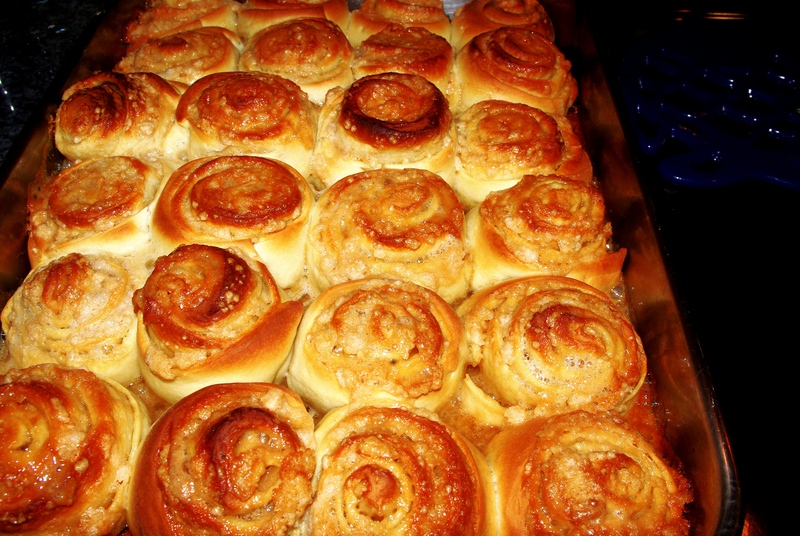 Roll, cut into a dozen rolls (and repreat with the remaining dough). Let rise for an hour before baking at 375 degrees for about 25 minutes. Whip the leftover crumb topping with milk to make frosting (more milk if you are just looking for a glaze).